Beware of individuals posing as Canada Revenue Agency employees. There has been many reported cases in Canada, and Calgary in particular. These individuals are very aggressive and lead you to believe that there is a warrant outstanding for your arrest related to back taxes. They try to scare you into making an immediate payment. 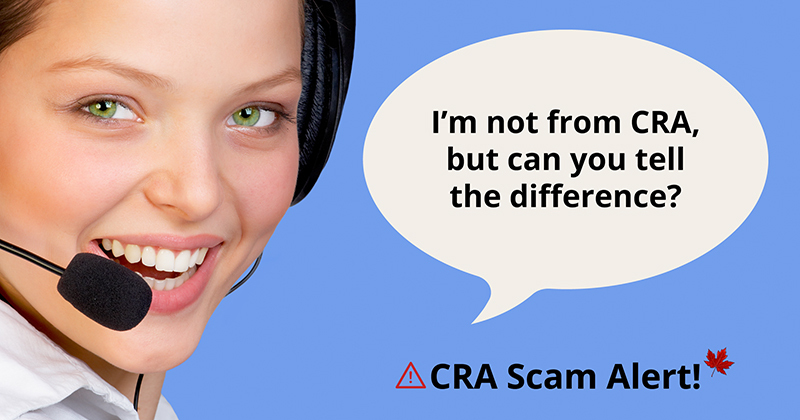 If you are unsure record the phone number and contact the CRA at 1-800-959-8281 to verify if that is a legitimate number.